How to pick the ideal Engagement band? Planning to get married soon? if so, you should then prepare for your wedding proposal first before you can able to walk in the aisle with the woman of your love. Earn that Yes dude! So, how you can pull this off? well, know the drill first and ask for her hand with a nicely and beautifully made engagement ring. And you can pick the ideal one by reading the details below as it’ll teach you the kind of rings that might get suit in best your woman.. Choosing the right time of year to propose is the easy part – when it comes to choosing the perfect engagement ring, some men find this part a little tricky. How do you find a single piece of jewellery that represents your love for that one person? 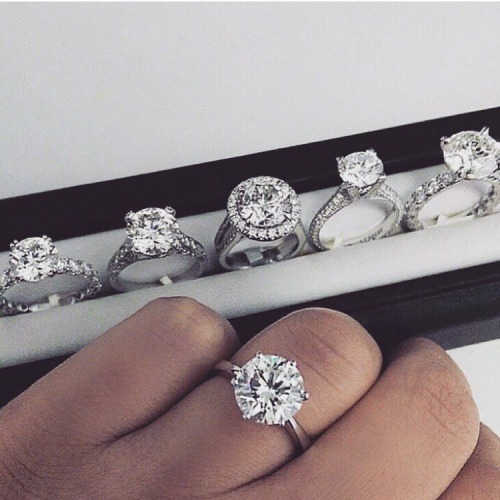 Luckily, AC Silver are experts when it comes to diamond rings and antique engagement rings and have some great advice for you. Gemstone ring or plain diamond ring? Most ladies will have tried to drop subtle hints to their partner when they know what they want – it’s just up to you to take them on board. Trust us, it will make engagement ring shopping a lot easier. So, if your future fiancée keeps on talking about sapphire rings, you should most definitely go for a sapphire cluster ring, for instance. Do not be afraid of it not being “traditional” enough — if that’s what she wants, then that’s what she should get. Nowadays, traditions have changed and you are more than free to do whatever you want. The only thing to bear in mind is that some stones are softer than others, so will need some extra care. Diamonds, however, are the most hardwearing gemstones, with a hardness of 10 on the Mohs scale, and for this reason they symbolise an ever-lasting love and are the preferred choice. A safe bet would be a timeless classic, such as a diamond solitaire ring – they are generally guaranteed to impress your other half and you can personally choose the style yourself. An engagement ring is going to be worn daily, and a diamond solitaire ring is the perfect accessory to complement any outfit – and will never go out of trend. How do you choose the perfect diamond? A basic understanding of the diamond’s four Cs will help: the four ‘C’s’ being: Cut, Colour, Clarity and Carat-Weight. Diamonds come in different colours, but the most popular ones still are white diamonds, with a colourless stone being the highest grade. Diamonds are graded from a D colour, which would be colourless, to a Z, which would be light yellow. Generally, anything higher than an I colour can be considered as very high colour graded and will have a nice white colour. The clarity of a diamond is determined by the size, number and location of natural inclusions within the stone when viewed under 10x magnification. The range varies from an IF, internally flawless indicating no inclusions at all, to an I3, which will be an included stone. Any stone higher than an SI1 or SI2, slightly included, stone will show a good brilliance and the inclusions will not be seen with a naked eye. The ‘weight’ of a diamond is measured in carats. 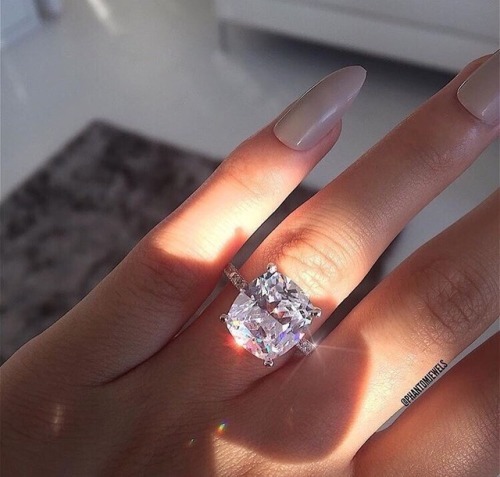 As the carat weight of a diamond increases, so does its rarity; this will be reflected in the price – the bigger the diamond, the more expensive. The modern brilliant round cut diamond is by far the most popular choice of diamond shape these days. A solitaire ring does not necessarily have to be a single stone, it can be embellished on the shoulders or can be arranged around the main gemstone in a halo-like design. This is the antique version of the modern brilliant round cut, with the difference being that it is older (pre-Circa 1920s), and hand cut as opposed to machine cut. An old European round cut diamond will not be as “neat” as a modern cut one, but it will have a distinctive, classic antique and a more unique design. What is also remarkable with older stones is that in addition to a great unique look, such gemstones represent better value for money. Sitting in between the Old European round cut and the modern brilliant round one, transitional modern brilliant round cut diamonds were typically diamonds cut around the 1930s-60s. These diamonds are often very similar to modern brilliant round cut ones. 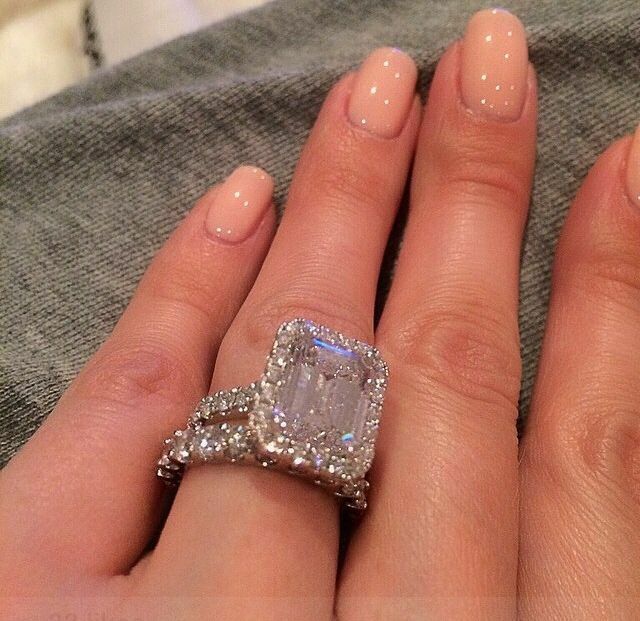 The princess cut is the most popular non-round diamond cut. It is either square or rectangular cut with pointed corners. Emerald cut diamonds can be square or rectangular, but differ from the Princess cut as the corners are tapered, and the pavillion (underside) has a faceted cut. Known for its elegance, this cut sits on the finger sophisticatedly. The Asscher cut diamond is nearly identical to the Emerald cut except that it is square, with a total depth which is typically greater. So, these represent the most popular diamond cuts, but, obviously, there are less well-known options. These include: marquise cuts, cushion cuts, old Dutch cuts, fancy cuts (heart shaped ones for instance), pear cuts, old mine cuts. White gold, yellow gold or platinum? This decision is generally down to personal taste – it is worth considering what your loved one would prefer as well as what will match her other jewellery. White gold and platinum seem to be the most popular options, with platinum having the added advantage of being more hardwearing. Have a look at your partner’s jewellery box — does she have more yellow gold jewellery or more white gold pieces? If you really are in doubt but want to keep it a surprise for your intended, it is sometimes useful to bring someone with you. The question is who would know her taste best? Maybe her mother, sister or best friend could be a good call? Someone who can keep a secret for sure! Follow your instinct – after all, you are the person she is about to choose to spend the rest of her life with. So, give yourself more credit, as you probably know her taste well enough to make the perfect choice!